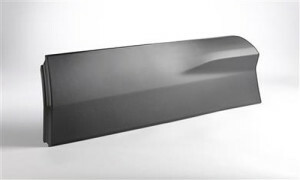 Ghent, Belgium – Milliken will go beyond simply addressing the lightweight trend in vehicle manufacturing with solutions designed also to improve all-round mechanical performance and the aesthetics of polypropylene (PP) parts at the 2015 VDI Plastics in Automotive Engineering Conference in Mannheim, Germany. Visitors to Booth 19 can look forward to the weight-reduction benefits and more offered by Hyperform® HPR-803i reinforcing agent. The synthetic reinforcing agent, used alone or with talc, allows automotive designers to create high-performance PP parts that are up to 15% lighter without compromising performance. Added at a lower addition rate than mineral fillers, Hyperform® HPR-803i reinforcing agent ensures lower density PP compounds which maintain their mechanical performance even after multiple recycling and compounding operations. Hyperform® HPR-803i reinforcing agent also enables a reduction in color pigment usage and improves scratch resistance of a finished part. Designers are invited to explore the innovative abilities of Hyperform® HPN nucleating additives for achieving stronger, thinner and lighter PP parts with stable dimensions, even in the most demanding circumstances. Animations of a PP bumper produced using Hyperform® HPN 20E additive will demonstrate how the outstanding balance of stiffness and impact strength contributes to improving all-round mechanical performance in all temperature conditions, and creates room for material downgauging. “By combining possibilities for weight reduction with high-performance properties and features, Milliken’s innovations are at the forefront of supporting the automotive industry in improving sustainability and its efforts to lower vehicle emissions,” comments Wim Van De Velde, Marketing Director Plastic Additives, Milliken.